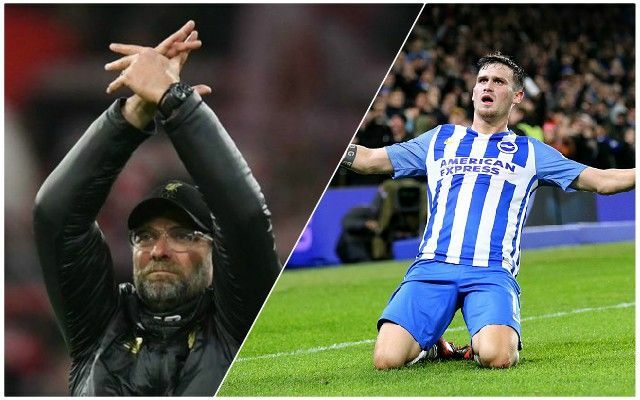 Brighton’s Pascal Gross says he is ‘honoured’ when he sees media reports linking him with a move to Liverpool – but he has not heard from the Reds about any potential transfer. Gross has been linked with a move to Anfield this season and would certainly, it appears, be open to a switch, but whether the Reds are seriously interested in him remains to be seen. Gross has scored just twice this season for Brighton in the Premier League and has provided two assists. Additionally, he has only featured in 19 of the Seagulls’ 29 league games. The 27-year-old has been fairly consistent in a struggling team, but it would be a strange signing. Of course, Gross would like to come to the Reds, but it would be odd for the Reds to want to sign him – how much he would be able to add to the squad Jurgen Klopp has already assembled seems to be limited.